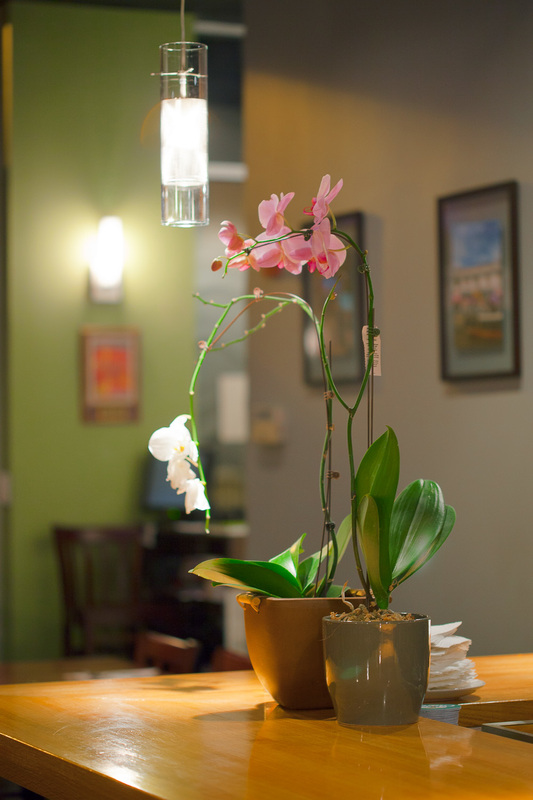 Our Thai restaurant is located adjacent to I-270, in the heart of Germantown Town Center. We are right across the street from the Blackrock Center For the Arts and the Germantown Public Library. In the same plaza you can find a Safeway, Starbucks and FedEX Kinko’s. As Thai restaurants have become increasingly popular in Montgomery County and the DC Metro area, we really look forward to providing you with a comfortable and casual place to enjoy a meal. If you are new to Thai cuisine, then let us introduce you to some of its classic dishes as well as some imaginative twists not usually found in Thai food created by our chefs. Take Exit 13B to merge onto Middlebrook Rd. Go straight, past 4 traffic lights (1.3 mi). Turn RIGHT at Century Blvd (0.1 mi). Sabai Sabai will be on the RIGHT hand side. Take Exit 15A to Germantown Rd / Route 118. Go straight, past 2 traffic lights (0.7 mi). Turn RIGHT at Pinnacle Dr (0.1 mi). Turn LEFT at Century Blvd (381 ft). Sabai Sabai is on the LEFT hand side. View directions in a larger Google Map.